Walter Benjamin once observed that “what has been forgotten…. is never something purely individual.” Indeed, it is easy to overlook the fact that memory and its elisions are collectively orchestrated, as we constantly borrow, appropriate, and revise material from a shared cultural imagination. Yet, given the presence of a communal consciousness, forgetfulness also becomes something of an impossibility. What is erased from the master narrative inevitably manifests in other ways, making its presence known in the minutia of language, syntax, and grammar. What is left out of the tableau remains woven into its canvas; it is housed, projected, and performed in the texture of language, which functions as a shared unconscious of sorts. Three recent collections of innovative writing by women fully do justice to this notion of syntax as collective memory, as archive, as ledger. 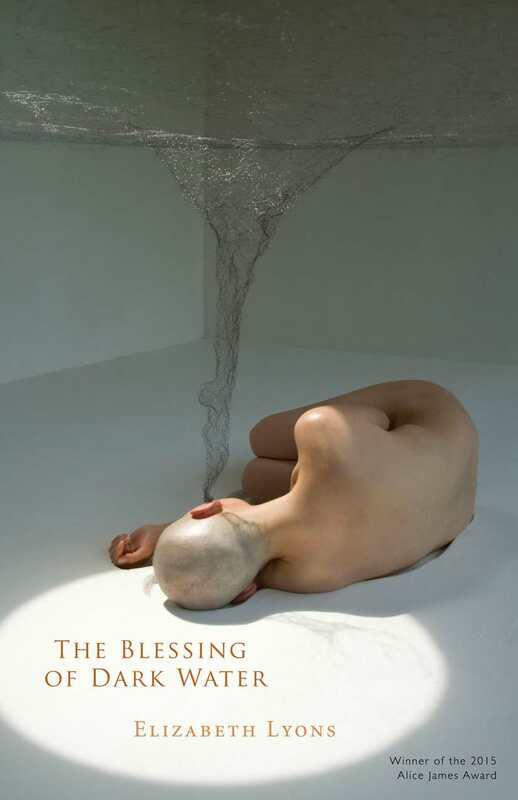 Elizabeth Lyons’ The Blessing of Dark Water, Carolina Ebeid’s You Asked Me to Talk About the Interior, and Lisa Olstein’s Late Empire each consider, albeit through a different conceptual lens, the question of what trauma and violence is housed in the words we use. “I am in a room, labeled difficult,” Lyons writes. In each of these stunningly crafted collections, we are shown the social upheavals and the deeply personal grief woven into the very rules of language, that glittering “machine” turning just beneath the surface of a community. In The Blessing of Dark Water, language is sedimented with history. “I feign deafness,” Lyons writes in the opening poem. The formality of the word feign renders us startlingly aware that the passing of time transfigures the most ordinary speech acts. As the book unfolds, we are made to see that the boundaries between speech and the unspeakable, narrative and what cannot, will not be said, are also temporally situated. Lyons brilliantly reminds us that many narratives, particularly the stories of women who breach boundaries and challenge our thinking, could not be voiced in the historical moment that they themselves inhabited. There was not yet a vocabulary, a form, or an appropriate architecture to hold such unruly content, a missive that challenged — and still challenges — our most familiar ontological categories. Throughout the narrative, these limiting, constraining categories of being still loom large: “…my mother / showed me off to a friend as we waited for a / movie to start. Held up my left hand in hers— / Married! Married! Getting Married! My saddest daughter fixed!” Throughout the sequence, Lyons draws on hybrid forms reminiscent of the works of Jenny Boully, Yedda Morrison, and Jill Magi to forge a new lexicon, one that can encompass a more robust conceptualization of identity. I draw a tree in chalk to signify the forest behind my home. I draw a body of the girl who was, before an illness. I draw a body for the Elizabeth who feigns politeness when it’s necessary. I’m ready at the board, eraser in hand. The sections, for the most part, are clearly marked with dates indicating past or present, but here, that space is left intentionally blank. We are shown an interstitial space as time becomes elliptical, recursive, circuluar. The language, too, drifts between temporal moments and their specific vocabularies: the contemporary colloquial blurs into high lyricism, which becomes a striking formality, the “quiet but not still” terrain of historical memory. into the sea captivity, its stammerings. Here, we are shown self as world, as “nautilus” and “sea captivity,” a vast terrain, where it is impossible to impart full knowledge of its geography to another, even if it were one’s wish to do so. What’s more, Ebeid reminds us that history in all of its complexity is housed within that seemingly small “curve” of “paper” that is the individual consciousness. The mind, for Ebeid, is a ledger, one that has been written over with the “letters” and “open windows” of Romanticism and the “stammerings” urban industrial modernity. Because of the vastness held within each one of us, Ebeid suggests, the distance between self and other grows that much greater. 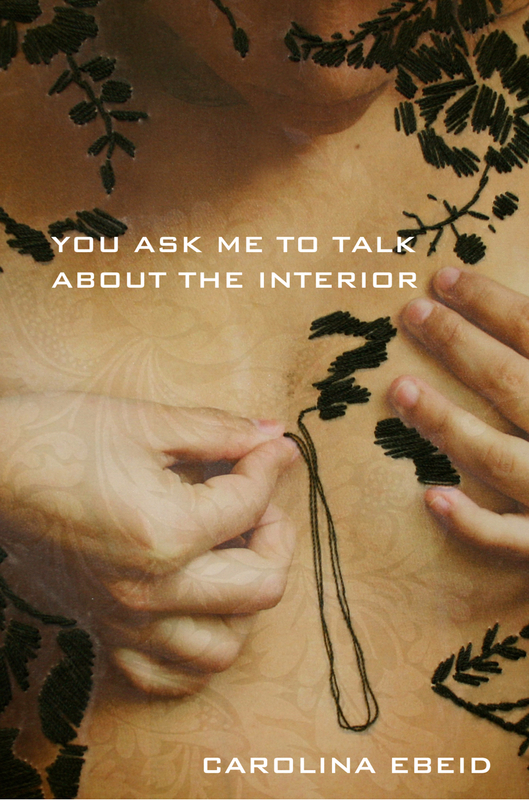 What’s more, intimacy becomes something of an impossibility, as the innermost rooms of the psyche are filled by the objects and ephemera of history, our shared narratives and their myriad philosophical problems, their many injustices. Late Empire continues this interrogation of language as vestige, as master narrative in ruins, as archive and as collective unconscious. Much like Ebeid and Lyons, Olstein calls attention to the fragmentation – of meaning, of story, and of voice – housed within syntactic constructions that offer an illusion of wholeness, that deceptive aura of unity and cohesion. In many ways, the tension that Olstein creates between a unified form and this unruly content speaks to the role of grammar, and its implicit logic, in structuring the narratives that circulate within our culture, that echo within each one of us, the stories that ultimately make us ourselves. Here, Olstein offers sentences that fit together from a grammatical standpoint, functioning as pristine subject-verb-object constructions. Yet within that flawless grammar, one discovers a provocative fragmentation of meaning. For example, as we move into the third line, the semantic meaning of words is no longer privileged, but rather, their musicality, their sonic qualities, becomes the driving logic behind each clause, each gorgeously ruptured sentence. With that in mind, Olstein offers a vision of history in which language becomes an internalization of empire, the mind itself being colonized by a logic and a worldview that is not one’s own. 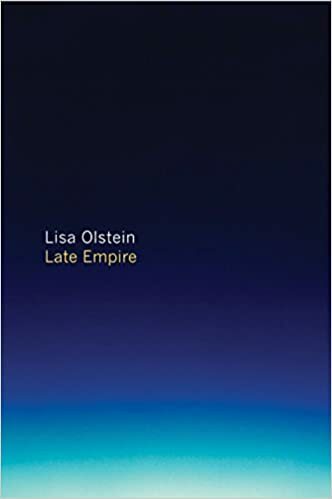 What is fascinating about Late Empire is that Olstein does not merely offer critique, but begins the difficult work of creating an alternative space, an understanding of language that allows for the hypothetical, the disruptive, the utopian. Like Lyons and Ebeid, Olstein offers us language that is startlingly conscious of its own movement through history. In doing so, each of these three gifted writers forges her own her own ethics and her own lexicon. These are books that remind us what is possible in the most familiar grammars, showing us the strangeness and wonder that resides just beneath a docile surface, the syntax we thought we knew.